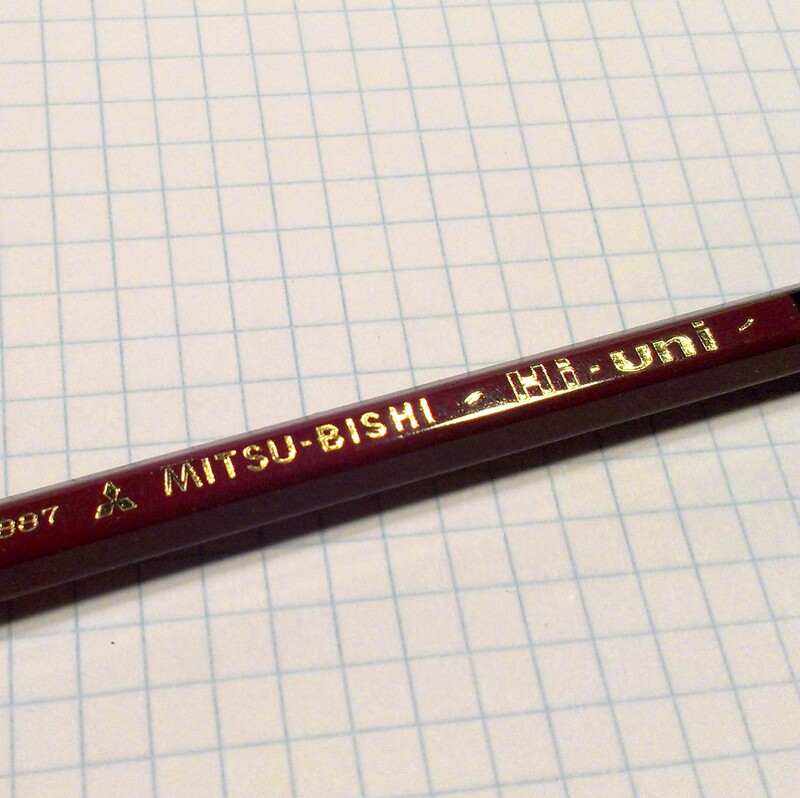 In my last JetPens purchase I ordered a pair of Mitsu-bishi Hi- Uni pencils. I picked out the HB and B grade. I refer to these as the adult, in the non-dirty manner of speaking, pencils. Their smooth burgundy paint, gold foil imprints, and slick black plastic and gold caps simply look like the kind of pencil adults might use. These aren’t kiddy styled pencils. The plastic caps remind me of old Venus drawing pencils that had smooth white plastic caps. It just screams “serious art creation happening here!” The combined package of color and crispness makes these look like nice pencils. Those looks are not deceiving, these are nice pencils. 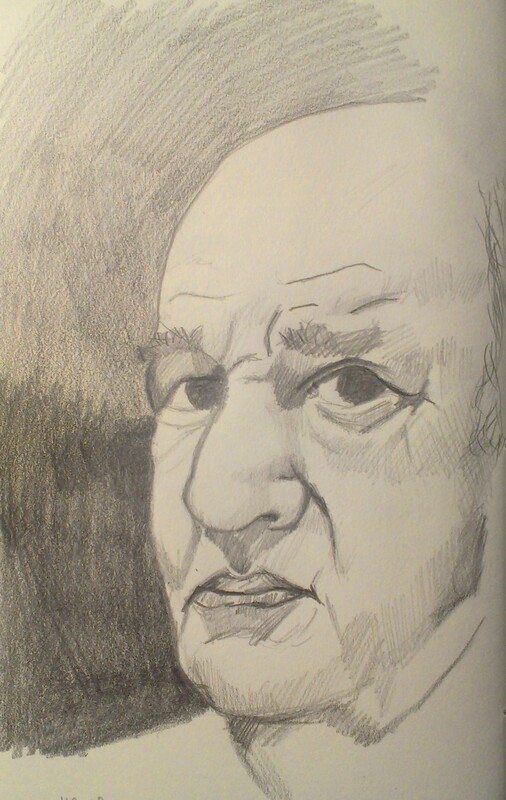 I popped the HB into my KUM Ellipse sharpener and was quickly down to the business of writing and sketching. The cedar sharpens well. The core is smooth in the sharpener, and shaves off a nice point. This pencil is smooth and dark. As HB cores go, this one is as smooth as a Palomino HB but holds the point well. I was able to write and draw without sharpening the pencil every minute or word. The experience of writing was nice and smooth. I did not find a single hint of grit or scratchiness. This pencil simply puts down graphite. I sharpened the B pencil in my KUM long point. Again no issues here. The core was well centered and sharpened to a perfect point. The B grade was slightly darker than the HB but just as smooth. It needed slightly more sharpening than the HB but that is expected for a B pencil. While I’d use the HB for class-notes the B is less well suited to note-taking given it’s need for more frequent sharpening. 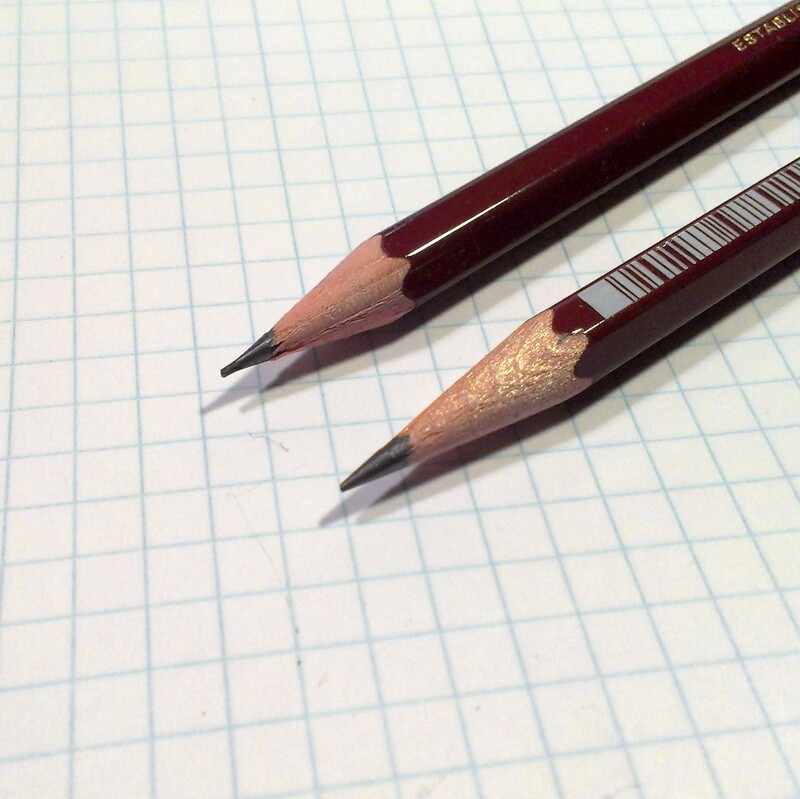 Either pencil erases cleanly from paper through the use of a block or click eraser. In use, these pencils certainly obtain high marks. They look fantastic and perform flawlessly. The one BUT I have is that they are a little on the expensive side. JetPens sells these as singles for $2.35. A dozen costs $28*. 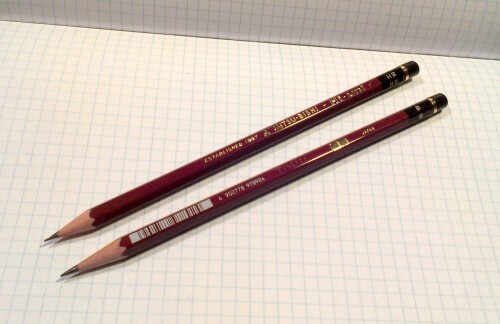 To put that into perspective, they are pricier than the Palomino Blackwing, which are as good for sketching, though not available in 5B to 10B or 2B to 10H. For a full range of use, the Hi- Uni wins out. It’s price is a tad off putting. 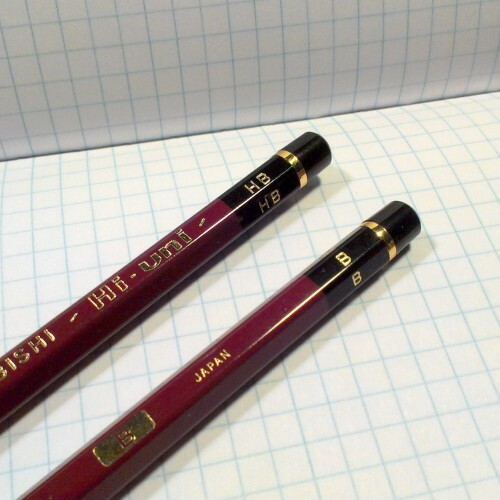 Again, if you are looking for a little something to get your JetPens order over the $25 mark for free shipping, a single pencil is a great way to do it. You won’t regret the purchase, it’s a damn fine pencil. This entry was posted in Review and tagged hi-uni, mitsubishi, pencil, review, uni on 20140626 by leslie.